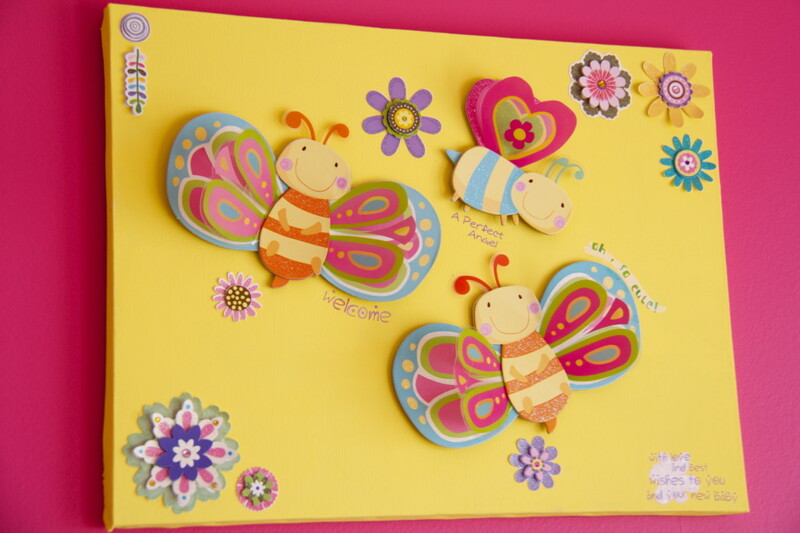 Inspired by the summery colours on the butterflies, I designed, painted, and created this colourful nursery for my best friend's firs baby. 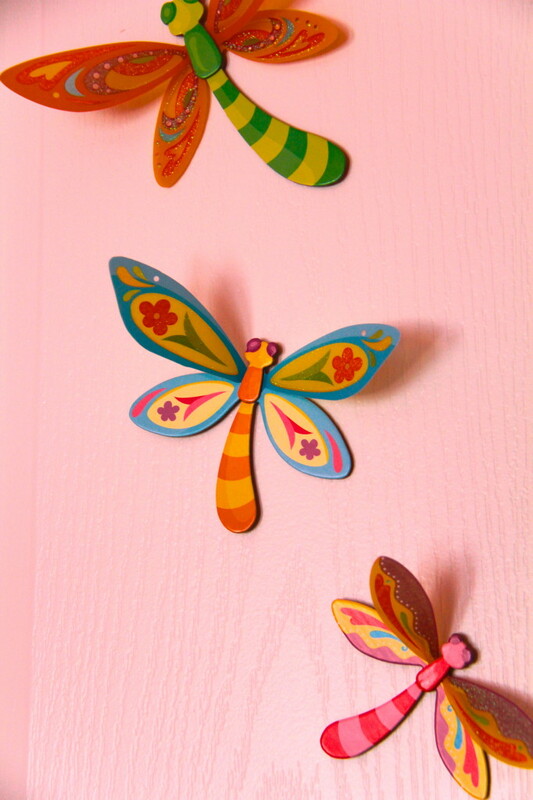 The butterflies on the art I created for the room. 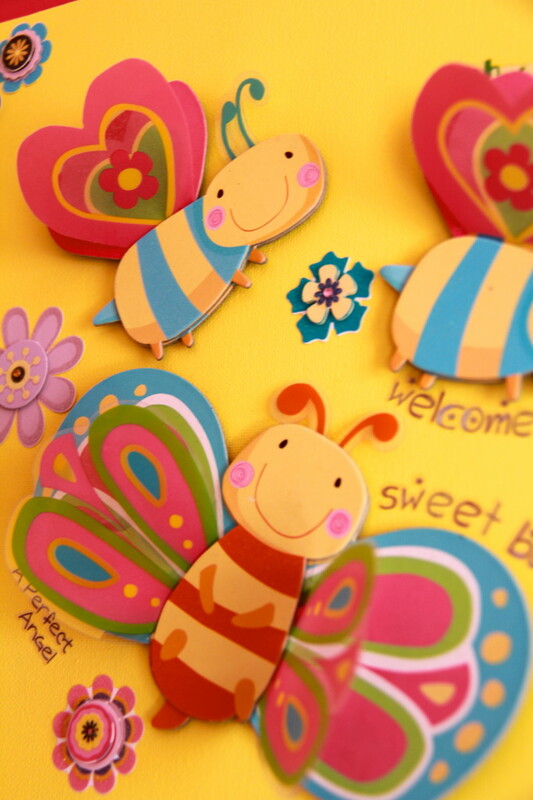 While shopping at the DOLLARAMA, a dollar store in Canada, I found these beautiful butterflies and fireflies cutouts, that could be used for any crafting idea. Well I purchased them, along with some acrylic paint and some canvases, and came home to try to create something pretty for my friend. Since I new she not kind of a crafty person, neither very creative, I new these could come in handy when trying to figure out how to paint and decorate her baby's room. And indeed they were. She asked me to please help her choose colours and think of how to arrange the room. She purchased the bedding online ( I'm not sure where) and my husband and I painted her room. oh so pretty! I just want to grab those fireflies and butterflies because they look so cute and sweet! I'm a mother of 3 spectacular boys, who full fill my life to the max, every day in every possible way.